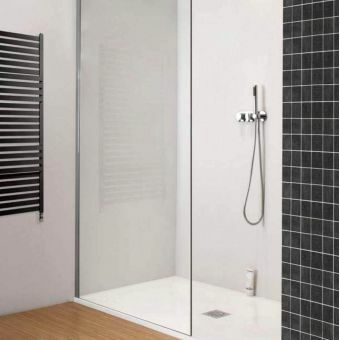 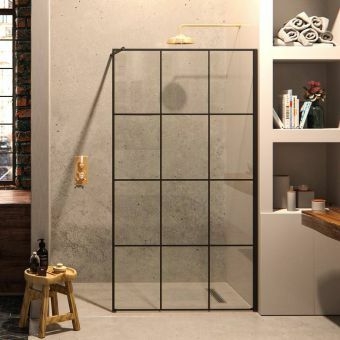 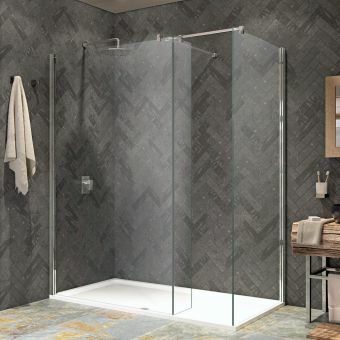 **Please see specification for actual glass sizes** The Simpsons Design Semi-Frameless Walk in Glass Panel offers an excellent option for buyers who want an attractive look and strong performance. 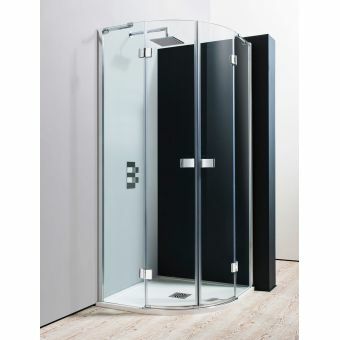 A matching side panel is available as well for extra splash protection. 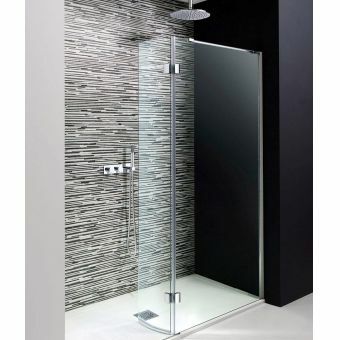 The panel comes in twelve different sizes, all of which are 1950mm tall with super-strong 8mm glass. 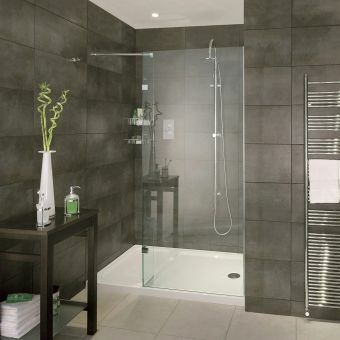 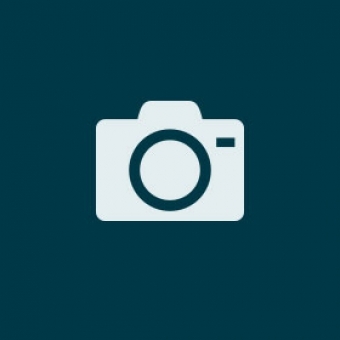 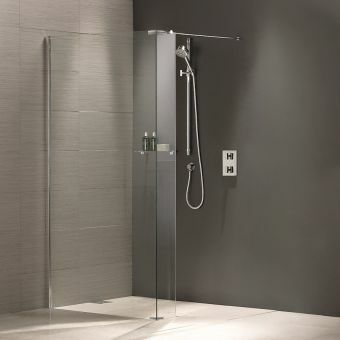 This lets shoppers choose the panel size that matches their showers best. 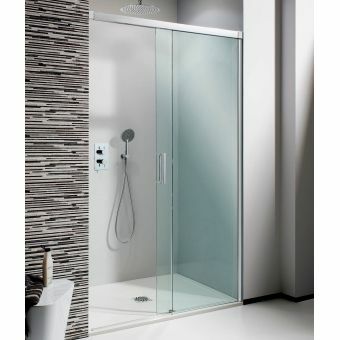 It even has a 15mm adjustment to fit a wider range of showers. 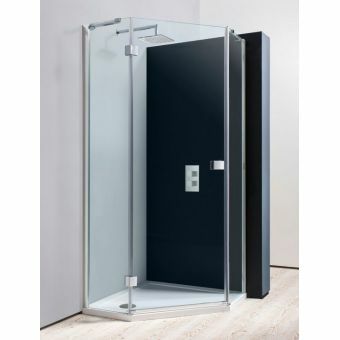 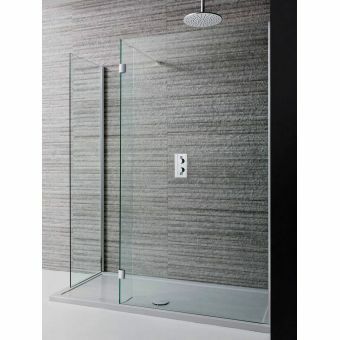 This walk in glass panel has a silver finish and powershower proof feature that will help it stay in top condition for years. 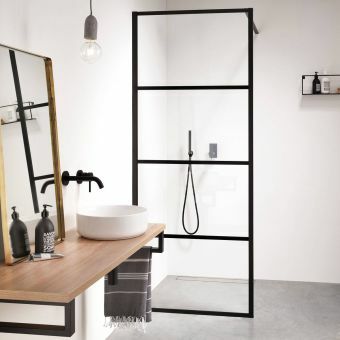 Although it does not come with a tray, its design looks wonderful with low profile trays found in many modern bathrooms. 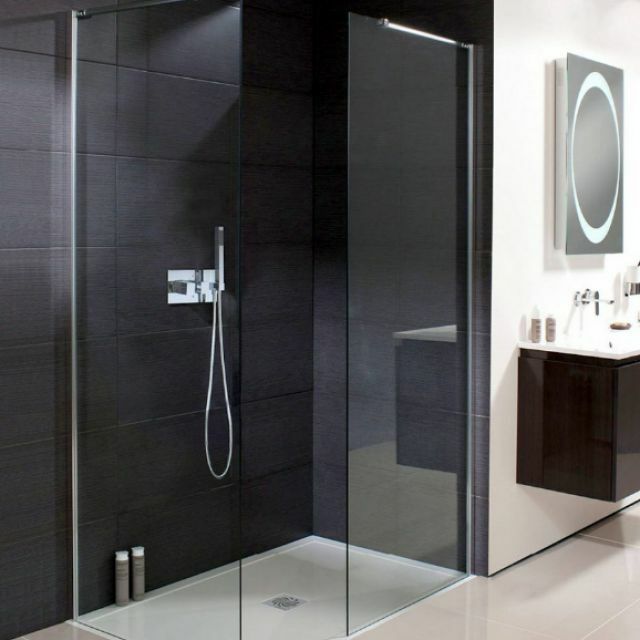 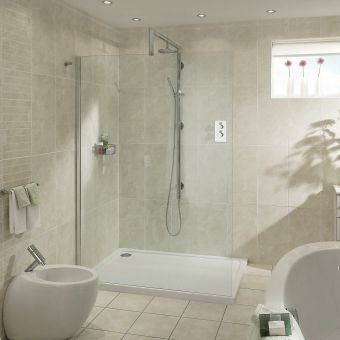 Alternatively, it can be fitted flush to the floor for a total wet room look.